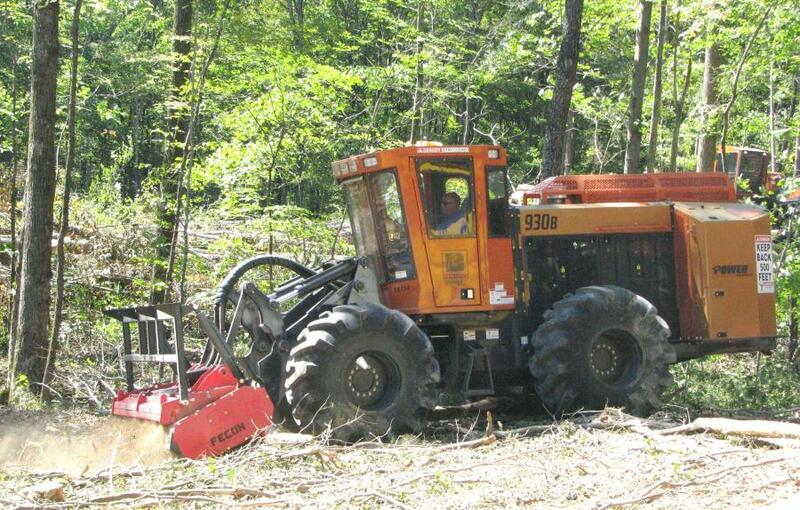 A Power Equipment Company representative demonstrates how effectively the Barko 930B mulcher with a Fecon forestry mulching head rips up felled trees and limbs. 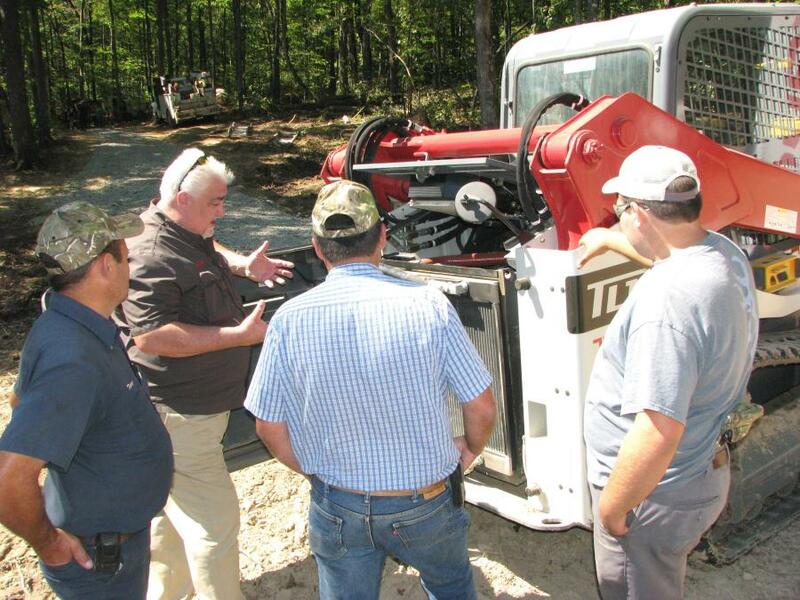 Sunny and dry was the perfect weather as Power Equipment Company hosted a two-day forestry demo deep in the woods of Monterey, Tenn., on Sept. 29 and 30. 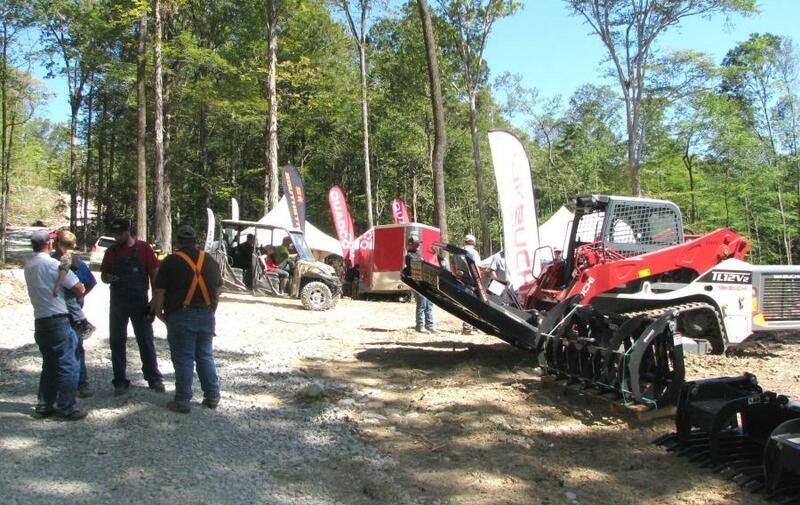 A great turnout on both days with the core machines at the heart of this demo event coming from manufactures that Power Equipment Company represents in the forestry industry, including Komatsu and Komatsu Forestry Division, Barko, Takeuchi, Fecon, QUADCO, Cutting Systems Inc., Pierce Pacific, Rotobec and others. 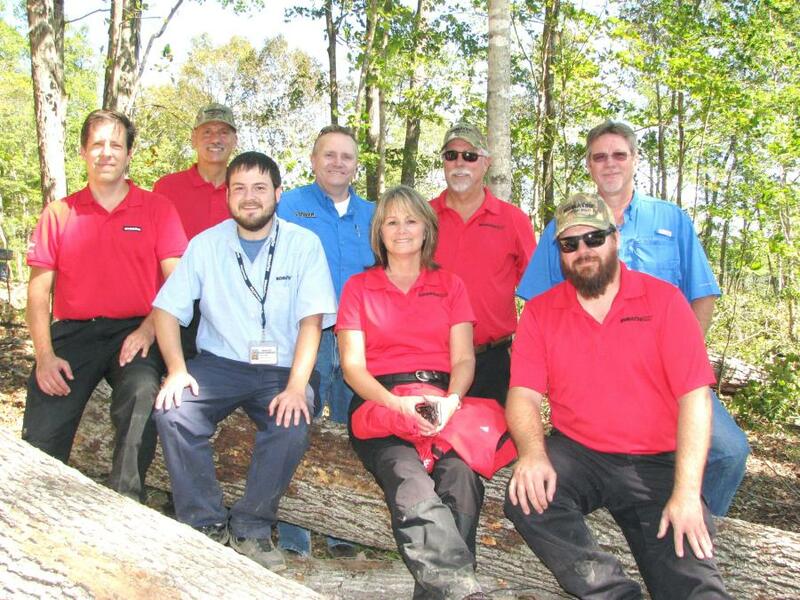 Lunch was provided at the demo site and consisted of barbequed pulled pork and chicken with all the sides. 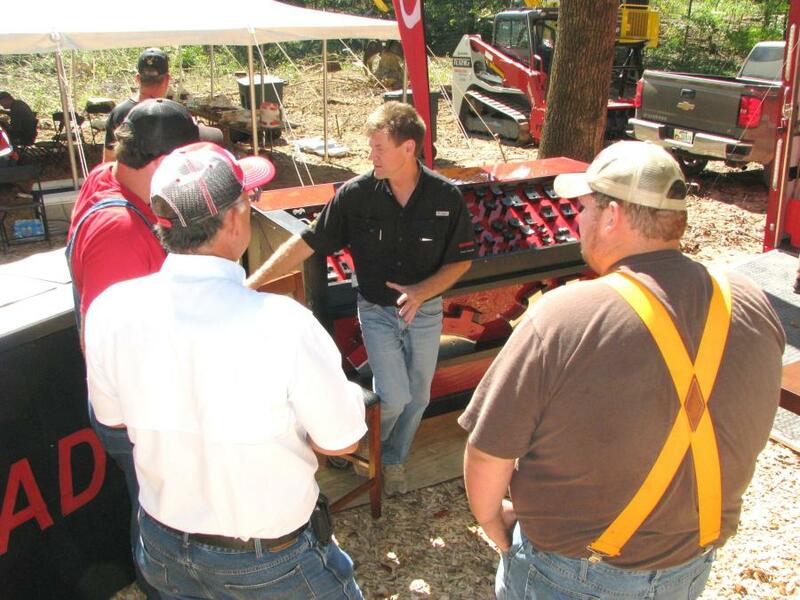 Periodic demonstrations were provided by Power Equipment Company or its manufacturer representatives and there was plenty of time allotted for attendees to take advantage of some hands on demo time. 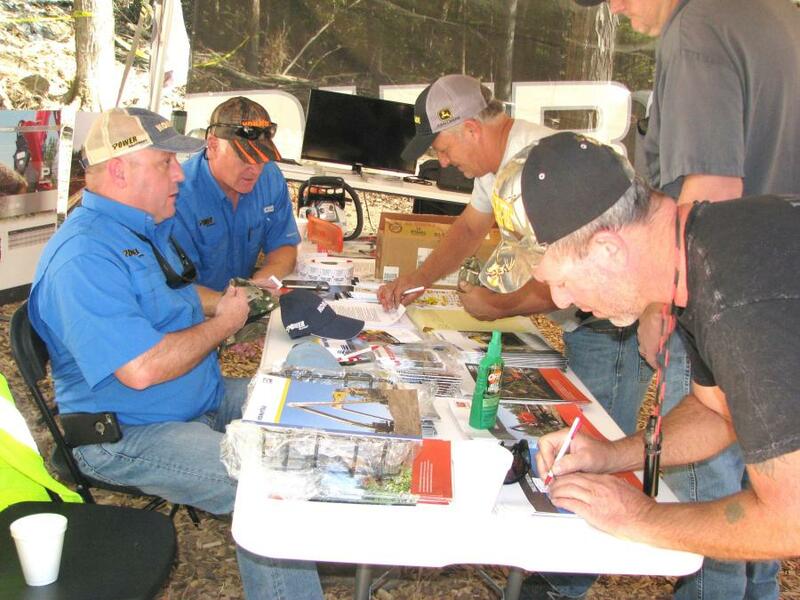 Some great prize giveaways were awarded, including Yeti coolers, diecast models, DeWalt drills and socket sets, Cabela gift cards with the grand prize being a Stihl MS211 chain saw. 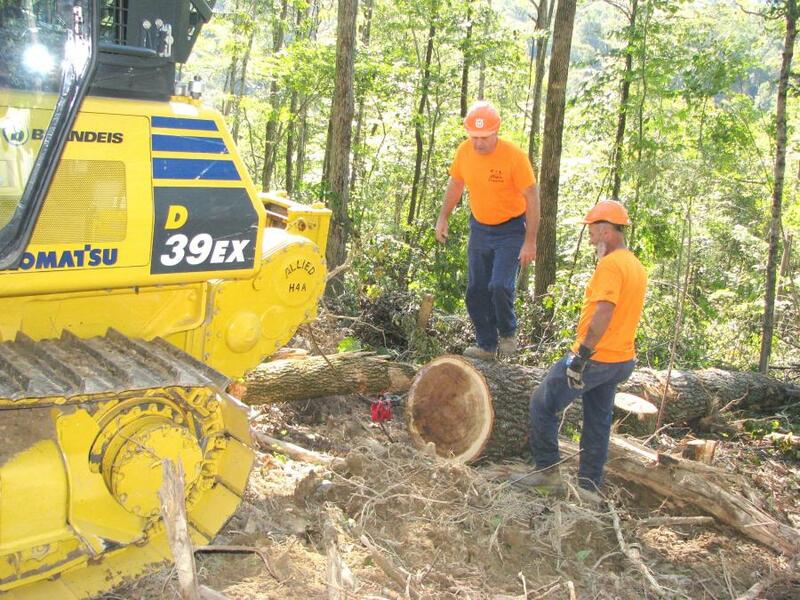 The demo was held on a 500-plus acre piece of land that is currently being logged by Darrek Copeland and the crew of C&L Logging Inc., Livingston, Tenn. Copeland spent considerable amount of time operating the demonstration model Komatsu XT460L-3 feller-buncher and is quite interested in purchasing and keeping this machine on this logging site. 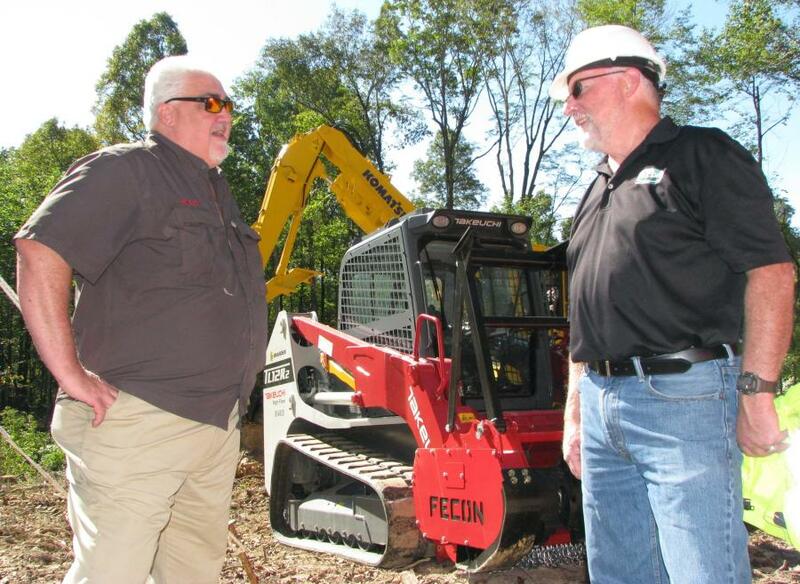 Copeland said this machine has an amazing cab with a big sky light, with convenient touch pad screen, and all the bells-and-whistles. He said compared with the current machine he is using, the leveling system is upgraded on the XT460 with a larger diameter leveling system-the pins and the pin bosses are much larger on this machine. It also has a double roller turntable bearing, which is a heavier bearing, as well as additional bracing on the deck plate. 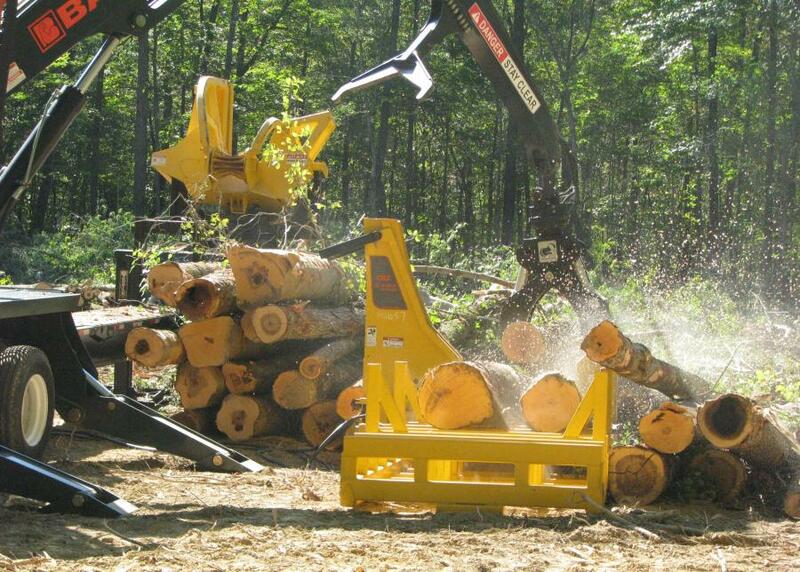 These make this a heavier duty machine. 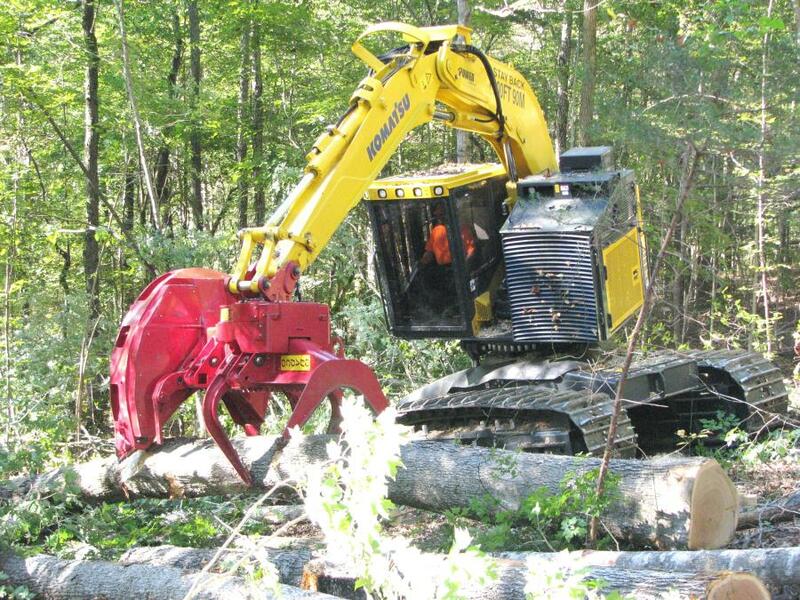 Copeland already has a Komatsu XT445L-2 with a 2900 intermittent saw head, which is the same head that is on the demo machine. 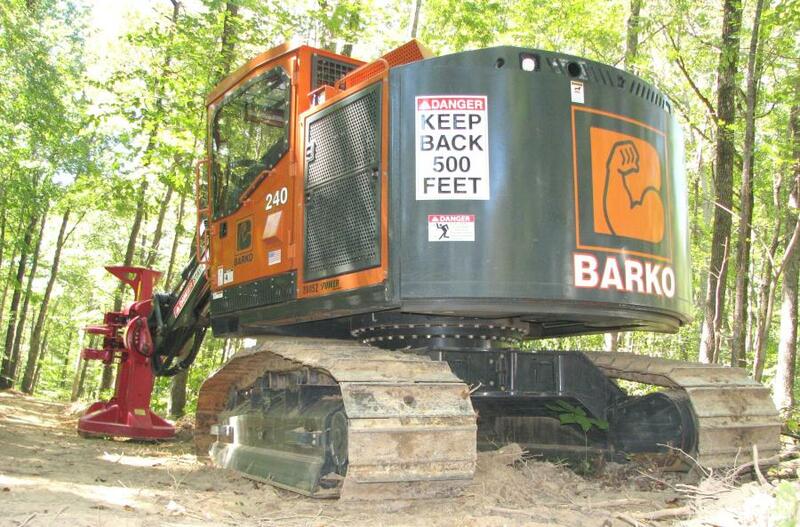 He said, "the demo machine is about 6,000 lbs. 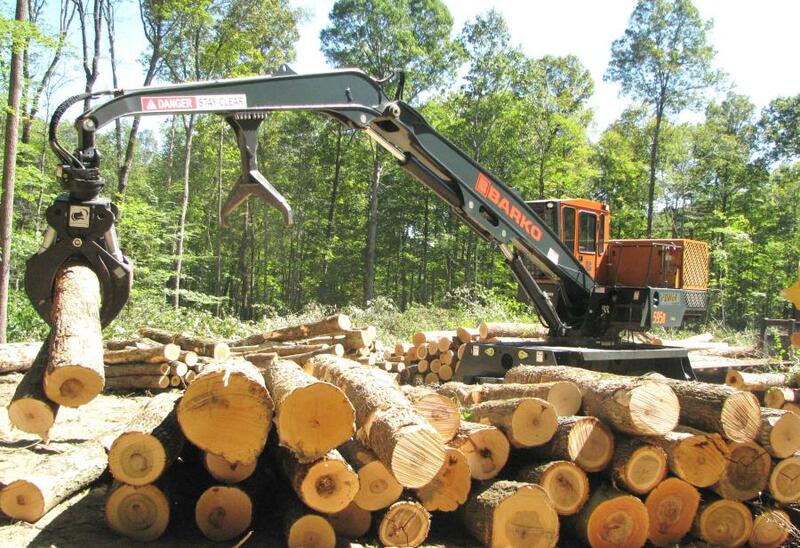 heavier, which makes for a lot more stability, and an increased lifting capacity which you can really tell right from the beginning of operating this machine. 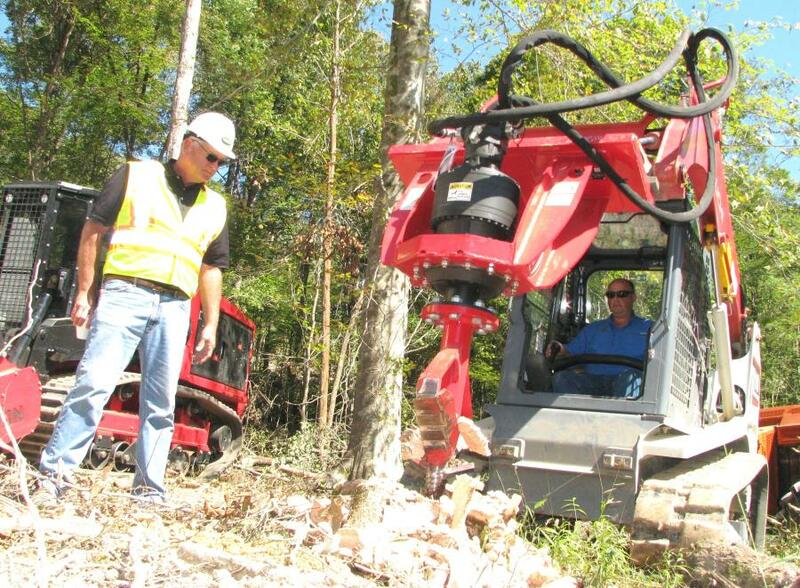 The saw head is basically the same as mine, but this one has a V I rotator on it, which makes it a bit more durable on the rotation of the head." 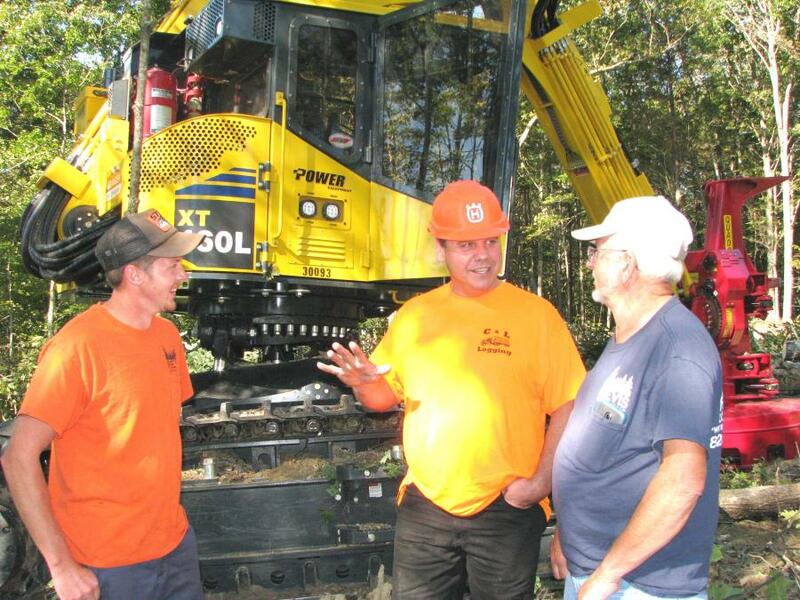 Copeland touted the confidence he has in Power Equipment Company as a business partner in his logging business. 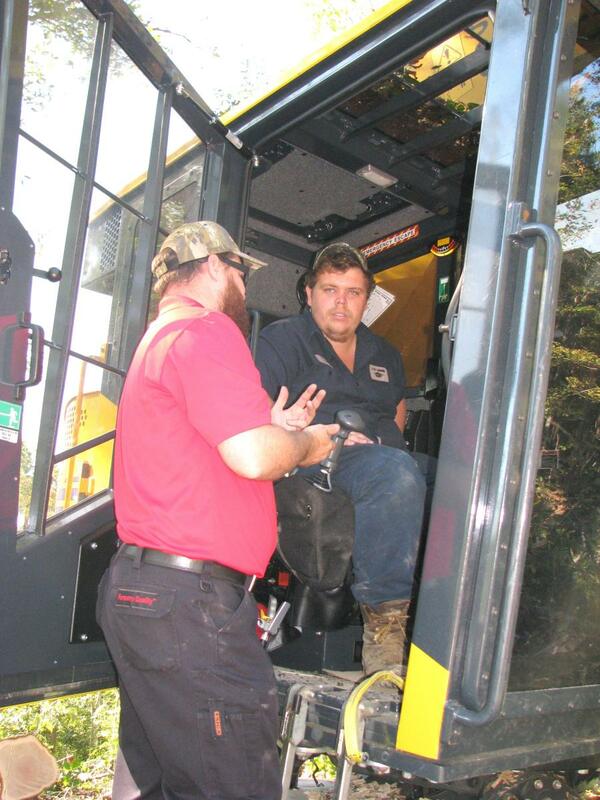 "I've been dealing with Power Equipment Company since 2006 and have always received excellent service from them. They keep me up and running! Most of the time they can take care of whatever I need with one quick call," said Copeland. 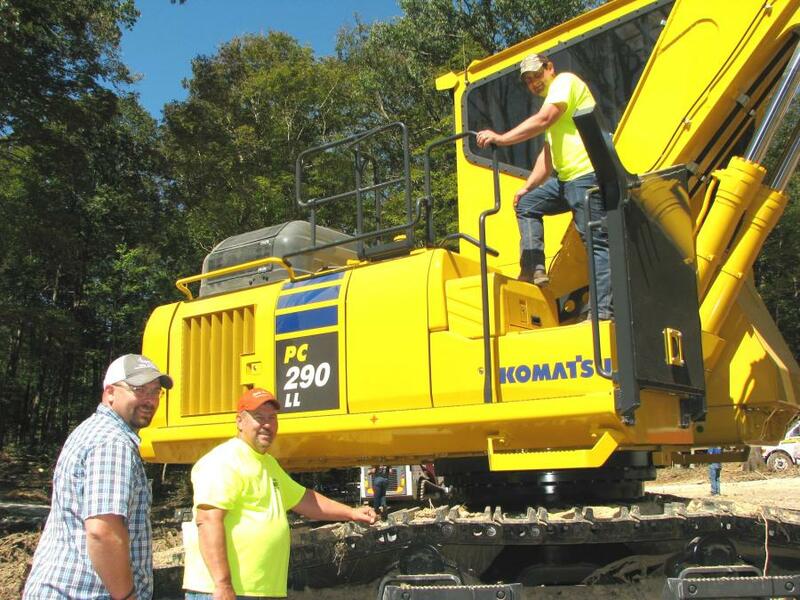 Copeland is considering the purchase of the demo machine, and said that he's just thankful to get an opportunity to get some work time in on Power Equipment Company's machine.